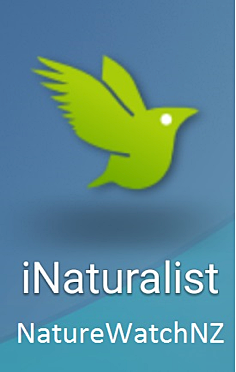 When students create their iNaturalistNZ account and download the iNaturalist app, they become members of communities; both New Zealand’s iNaturalistNZ community and the iNaturalist international community. If they add an observation to a project, they become members of that community too. When they create an observation, perhaps, by photographing a kowhai, or, recording the song of a bellbird, they are connected to the land and environment at their present location. When they synch that observation to the Cloud, they are contributing as local, national, and international citizens. These three aspects of connectedness are particularly well aligned with iNaturalistNZ. to connect with other people of similar interests. Using iNaturalistNZ can provide evidence that students are effective users of communication tools and show that they are able to relate well to others. These two related aspects require students to do more than just recording and synching their observations and forgetting about them. However, because their data is real, and the community is large and skilled, it is highly likely that students would take some extra steps. Students’ messages or comments by others about their observations provide evidence that they are using the platform appropriately, and communicating well with other members. 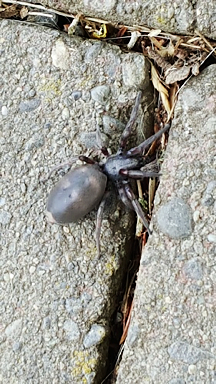 Many members of the iNaturalistNZ community are actively involved in the discussion about my observation of a white-tailed spider. Students should have opportunities to be participants in a range of life contexts. Although social media is an example of a life context that is normal for students to participate in these days, iNaturalistNZ extends the range, as it involves social media and crowdsourcing being used for a scientific purpose. Not only that, I believe, schools and teachers have a valuable role to play here, as most students would not otherwise encounter tools like iNaturalistNZ that extend their range of life contexts in such a way. We also want students to be contributors to the wellbeing of New Zealand — social, cultural, economic, and environmental. There is no doubt in my mind that when students record their observations in iNaturalistNZ, they are contributing to the environmental wellbeing of New Zealand. If they did not make a particular observation, at a particular time, on a particular date, at a particular place, then, that observation opportunity would be missed. It would never be recorded, and hence, would never be part of a later analysis that could then potentially inform decision-makers. The process students go through to record an observation means that they are actively involved. They are not merely passive consumers of information; they are creating it. When students add their observations to projects, it is a step up in being actively involved. If it is a local observation or project, then it is a step up again, as it has more meaning to the real communities that students belong to. 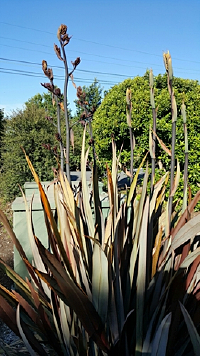 From Barrie’s observations; a species that is part of our New Zealand identity: harakeke — Phormium tenax. We want students to be positive in their own identity. When a student observes and records a living thing, it contributes to their identity. This is especially true if it is a native plant or animal that is a well-known part of our biological heritage, such as a koru or a weta. I can think of other scenarios, too: students who come here from other parts of the world use iNaturalistNZ here, and proudly tell their extended family overseas about it. There could be great conversations using the message and comments facilities of iNaturalistNZ as they compare observations across the world. As teachers and parents, we all like youngsters to be motivated and reliable. Although using iNaturalistNZ may be inherently motivating for some students, motivating all students requires teacher skills, such as showing where iNaturalistNZ fits into a bigger picture; helping students challenge themselves; scaffolding learning; and, standing back. Teachers’ management skills of signposting, setting deadlines, monitoring and checking should also help students to develop their reliability. I believe teachers can make a big difference here, but, I also think iNaturalistNZ can save time, as students observations could be an authentic source of evidence that could contribute to making an Overall Teacher Judgement (OTJ) about student learning. If students used iNaturalistNZ throughout their lives, as I plan to, then it almost can’t help but contribute to lifelong learning. Imagine if every teacher in New Zealand reminded their students about iNaturalistNZ before every holiday and did a quick follow-up when they returned? Maybe that would become a habit for students that would endure into adulthood. 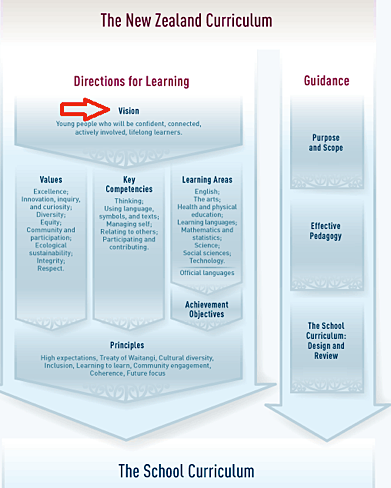 The Vision calls for students to be literate and numerate. Because iNaturalistNZ provides an authentic context, there are opportunities for students to apply, practise and develop their literacy and numeracy skills. For example, via their observations, students are likely to be exposed to Latin names, Māori names, and common English names, which broadens their vocabulary and subtly introduces them to other languages. Ultimately, this could also get students interested in the classification system (taxonomy) of living things. Using iNaturalistNZ may not cause students to be critical and creative thinkers, but it provides opportunities that are only limited by our imagination. iNaturalistNZ inherently encourages us to be active seekers, users, and creators of knowledge. Every time we contribute an observation we are doing so. Will using iNaturalistNZ help us to be informed decision-makers? If it’s about biodiversity, I think there is no doubt. For example, a community could use iNaturalistNZ to find out if introduced species are taking over a local reserve, and use the results to inform their response. Are they proficient at using their smartphone to photograph a living thing? Can they save and synch their observations? Can they go to a laptop and follow up on their observations with the iNaturalistNZ community? Are they thinking up great questions based on their iNaturalistNZ experience? Do they have some strategies to analyse or represent data from iNaturalistNZ? Are they using the commenting and messaging systems appropriately? Are they protecting their online identity? I think iNaturalistNZ is a great opportunity for students to make use of the digital world for something that is very real. After looking over the iNaturalistNZ Teacher’s Guide, sign up with iNaturalistNZ and download the free smartphone app. Then, record your first observation. It’s important to use iNaturalistNZ yourself to better appreciate its potential in the classroom, especially as part of a Learning Area such as Science. If you are at school, try recording some wild living thing near your classroom. With your students this would be an ideal time to experiment with “flipping” your classroom so students record their observations and trouble-shoot in their own time, and you use precious class time for discussion and for students to demonstrate what they have learned. You could also mention iNaturalistNZ in a school newsletter and get parents involved; some would really run with it. Think about using iNaturalistNZ as a part of an activity on a school camp or field trip. Don’t have enough smart phones for your class? You could use one camera or smartphone with GPS tagging and your iNaturalistNZ account, which you manage for the class. Teachers are skilled at finding ways to get everyone involved and giving everyone a fair go! And, expand your own use of iNaturalistNZ. Next time you are at the park, shopping or on holiday, record something there — maybe a specimen tree by the supermarket, or a sea snail in a rockpool by the sea. You could also get your own family involved. How about posting a link to your latest observation in the Comments section at the bottom of the web version of this blog post? I will if you will. The LEARNZ team will use iNaturalistNZ to record observations during the LEARNZ Wetland Biodiversity virtual field trip for schools from 15-17 March 2016. In my next blog, I will look at iNaturalistNZ in the context of Learning Areas, such as Science, with examples from the Wetland Biodiversity field trip. My latest observation at http://inaturalist.nz/observations/2775065 is a bright-red butterly which has been identified by the iNaturalistNZ community as a New Zealand Red Admiral.